The revitalized Alfa Romeo brand has returned to the U.S. market, bringing an unmatched level of Italian craftsmanship with it. This exceptional craftsmanship is clearly alive in the Alfa Romeo Giulia, and is undeniably one of the most beautiful sedans on the market. For Vienna drivers seeking a sports sedan that encompasses sophistication, performance, and innovative technology, the Giulia exceeds in all aspects. From the gorgeous, defined Italian curves that portray the rich history of the Alfa Romeo brand to the meticulously designed grille, the Giulia’s exterior is nothing less than mesmerizing. When you find yourself behind the wheel, you’ll be overcome with the feeling that you, the driver, are the center of the universe. From the carefully crafted sports seats wrapped in Alcantar, leather and carbon fiber, to the avant-garde technology, the Giulia is two steps ahead of its competitors. Place your foot on the pedal and feel the 505-horsepower generated by this Italian sports sedan. Even with such significant power, the world-class aerodynamics and fuel management keep you on the roads longer and away from the pump. Find yourself behind the wheel of the Alfa Romeo Giulia and experience what it’s like to drive a sedan that was designed to perform. The friendly product specialists at Safford Alfa Romeo of Tysons Corner are here to help make your dream a reality and provide you with the excellent customer service you deserve. Alfa Romeo has added a host of new features and packages to the 2019 Giulia, making it an even better value than ever. On the outside of the sport sedan, three new exterior packages are available in the form of the Nero Edizione, Ti Sport Carbon, and Quadrifoglio packages. You’ve also got the option of heated rear seats and new 17-inch or 19-inch wheel options when you purchase or lease the 2019 Giulia. The car will continue to be available in four trim levels for the 2019 model year: Giulia (base), Giulia Sport, Giulia Ti, and Giulia Quadrifoglio. Whether you are a first-time shopper to the Alfa Romeo brand or a longtime enthusiast, nothing comes close to matching the package that the 2019 Giulia offers. As a new model from the revitalized Alfa Romeo brand, the Giulia comes from a long, rich history that dates back to 1962. At this time, the iconic Giulia sedan sought to bring its innovative racing performance technology to the roads and thus revolutionize what a sports sedan could be. Through a combination of power and beauty, Alfa Romeo achieved and even exceeded this goal with the release of the first-generation Giulia sedan in 2017. Despite its short history on the U.S. market, drivers around Vienna are quickly discovering all this sports sedan has to offer. Meticulous Italian craftsmanship has put the driver at the center of the design, leaving even the most doubting critic full of emotion and passion when behind the wheel. 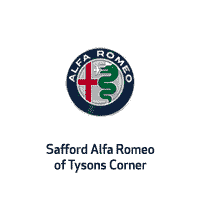 Safford Alfa Romeo of Tysons Corner is your source for Italian luxury vehicles with a studio that exemplifies the true character of the brand. Step inside our dealership and get ready to be overcome with the spirit of Alfa Romeo and its 100 years of race history, passion, and elegant designs. While conveniently located in Tysons Corner for drivers around Northern Virginia, DC, and lower Maryland, we offer the largest selection of Alfa Romeo models, including Giuliasedans, in the area. Our product specialists can also tell you everything you need know about the brand, as well as the specific models and how they may best fit your desires for a luxury vehicle. Slip behind the wheel of the Alfa Romeo Giulia and see how a luxury sports sedan can transport you into a whole new mindset. Allow our team to provide you with a stellar experience upon your visit and know that we will remain your automotive partner for years to come with our full service mechanical shop and on-site collision center. Contact us today to speak with one of our friendly team members, or visit ustoday at Safford Alfa Romeo of Tysons Corner.